When I was in college, I majored in English and economics. People had a funny reaction to that, as if they were confused that someone who enjoyed working with numbers could also enjoy words, or vice versa. Sometimes our desire to put everything neatly into little boxes goes against common sense. In reality, everything overlaps; everything is connected. Christine and Tera understand this. They're scientists. They're artists. They study astronomy and environmental science and neuroscience, and they make murals and zines and pins. 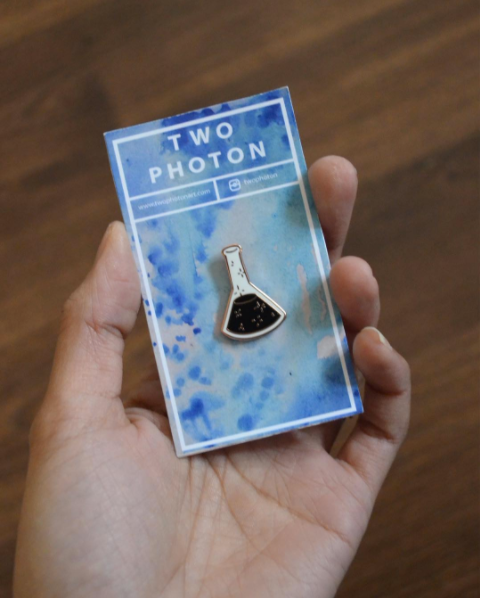 Their collaboration, called Two Photon, is a product of their long-distance friendship, love of science, and talent for art. "We believe science doesn't have to end in the lab," Christine and Tera explain. "Our goal is to creatively communicate science in ways that are accessible and fun, no matter your background." When I saw Christine and Tera's gorgeous work on Instagram, I knew we needed to talk to them. Cheers to science, art, and collaboration. Tell us how your friendship began! Our friendship began in the summer of 2012 when we were both selected to participate in a summer research program at the University of Oregon. We bonded over our love of science, camping, art, and pesto. By the end of the summer, we had grown to become close friends but went our separate ways when Tera returned to New York for the school year. As luck would have it, we were able to spend the next summer together again after both being accepted to research programs at Stanford University. Our love for adventure kept bringing us together as we traveled internationally several times, but it wasn’t until a summer trip to Nicaragua in 2015 that we started making art together. We wanted to capture the beauty and intrigue of the volcanoes we were exploring and agreed that creating a zine was the best platform for us. We bonded over our love of science, camping, art, and pesto. How did you decide to start Two Photon together? Why did you decide to do it? We started Two Photon about a year after we graduated college, trying to stay in touch and stay true to our love of art and science while navigating graduate school and employment. Mostly, we just wanted to find a way to stay in touch and hold each other accountable to make art. We originally wanted to make a coloring book filled with topics ranging from earth science to astronomy; however, it would have been a strain on our daily lives. We turned to zines because they allow us to focus on one specific topic at a time and allow us more creative freedom. Plus, going to zine fests and meeting other zinesters and people interested in our work is so much fun! We turned to zines because they allow us to focus on one specific topic at a time and allow us more creative freedom. What does your process of working together look like? How has it evolved to accommodate the long-distance nature of your work now? We’ve never lived in the same place other than the two summers that brought us together, so in a way we have always had a long-distance relationship. We’ve collaborated in many ways, whether it’s sitting on the ground together trying to finish something last minute or a precisely mapped plan of tasks divided in half. We also complete whole projects independently and reveal them to each other when they are done. There’s no recipe to our collaboration and it’s always evolving! The most constant factor in our work has been mutual support. As artists and women of color, the scientists behind Two Photon Art are a rare breed. Many people who are artistic believe that something in their brains makes science inaccessible. We are living proof and advocates for the beauty that emerges at the intersection of art and science. How do your respective areas of expertise collide with and complement each other in your work? If you look at the cumulative work of Two Photon, we have covered many topics but you can definitely see where our true loves lie. 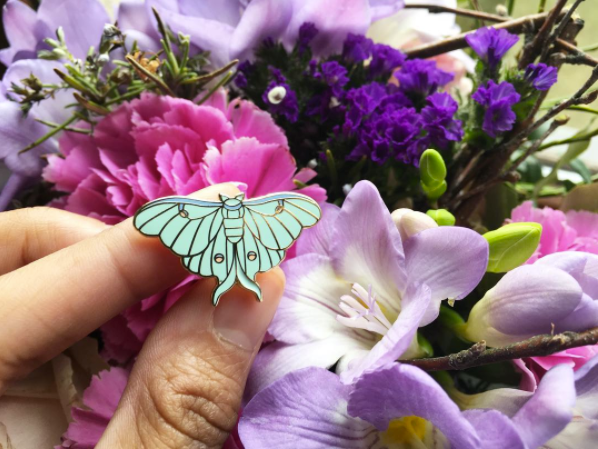 Tera is an environmental scientist and her interest in animals, plants, and the environment shines through in zines like Endangered Species and Strange Plants, and in our recent art prints. Christine, as a neuroscientist, skews towards topics like face blindness and neuro research. Together, we strike a nice balance. Two Photon art is available for purchase on Etsy. It's very freeing to be able to make art and know that it will be appreciated by at least one other person. How has your collaboration impacted your individual art/work/life outside of your collaboration? Christine: Our collaboration has improved my life immensely. It has given me a creative outlet and sense of fulfillment outside of my graduate research. It is very freeing to be able to make art and know that it will be appreciated by at least one other person, much less the community of people who have continually supported us! Tera: Before Two Photon, all the art I'd made was primarily for myself. I'd never taken an art class or had ties to the art community, and therefore always had reservations about calling myself an artist. Collaborating with Christine helped me break out of my shell and really own being a non-traditional artist. Together we support each other, give each other feedback, and push each other to become better artists and science communicators. Collaborating with Christine helped me break out of my shell and really own being a non-traditional artist. Why collaborate? What do you gain from your creative partnership? Christine: It’s difficult to quantify exactly what we gain from working together. Certainly, the logistics of having two people share the workload of managing social media and shipping is helpful, but our collaboration is more than that. I’m not sure if I would be making as much art on my own as I would be working with Tera. We motivate each other to make art and support each other when times are tough. Tera: Working with Christine has undoubtedly helped be grow as an artist, writer, and scientist. Not only are we able to create more work together, but that work itself has got so much more depth. Collaborating allows us to produce art that incorporates our different academic experiences. Two Photon is art made by scientists Tera Johnson and Christine Liu. Shop zines, pins, and patches at www.etsy.com/shop/twophotonart, and support their ongoing collaboration at patreon.com/twophoton. Tera Johnson is a consultant by day, and an artist by the rest of the day. 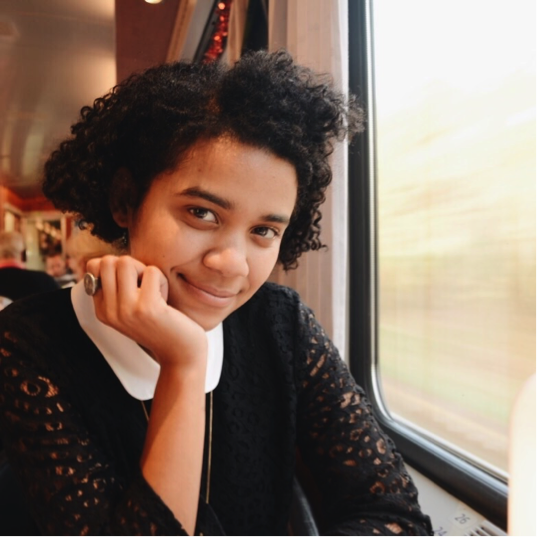 She currently works at EcoAdapt, a non-profit that provides support to make environmental planning less vulnerable and more climate savvy. You can find some of her artistic endeavors at terajohnsonart.com. Christine Liu is currently a PhD candidate in Neuroscience at UC Berkeley studying the neural circuitry underlying nicotine-related behaviors. Her individual work can be seen at christineliuart.com.